6pm to 10pm: Kingsmen 100 Club Beer Garden & Street Concert with free public seating featuring Briana Payne, Shari Rowe. 6pm to finish: Tractor Supply Co Tractor Pull Competition with $100, 5 person team registrations, limited to first 12 men’s and 12 coed teams*. Free spectator area. 6pm to 10pm: Fun Zone Activities! 10am to 12pm: Andy Devine Days Parade starting at Beale & First St, heading East on Beale to Fifth Street, then turning North to Oak Street and heading west back to Lee Williams High School. 12pm to 6pm: Fun Zone activities! *Must sign a waiver and obtain a free wristband to participate in some activities, wristbands available at the Festival Headquarters at Beale Celebrations. Keep checking back for updates! The Kingsman are hosting their 100 Club VIP party for the Rodeo elite Friday night. For the first time the Rodeo organizers will also host a live Western street concert on Fourth Street between Oak and Spring. Music starts at 6pm, opening with the Briana Payne Band, and later highlights singer-songwriter Shari Rowe's first performance in Kingman. Performances will take a short break for a live western auction. The best seating will be inside the VIP party, but there will be plenty of space outside to bring a chair or sit on the City Hall steps and enjoy the music. An open-to-the-public beer garden with a limited selection of drinks for purchase will also be available for non VIP guests to wet their whistles. Got a hankering to try your luck on the back if a bucking bull? We kinda thought you might, so Kingman Chevrolet Buick Mechanical Bull Rides will be set up near the street concert Friday evening and again in Floyd & Co’s parking lot between noon and 6pm on Saturday. Free rides and a pot-split riding competition are available for participants 18 years and older. Nearby at the Little Red Schoolhouse, the Kingman Visitor Center Toddler Playground and Obstacle Course will provide a shady preserve for little tikes looking to expense some energy. If the Arizona sun gets to you, cool off on the Hualapai River Runners Monster Water Slide at the corner of 5th & Beale Streets next to The Garlic Clove. This free, 24 foot slide is open to anyone willing to escape the desert heat and get their britches a little wet! Want to show some muscles? Another all new the Tractor Supply Co Tractor Pull Competition on Friday night. No, not the tractor pull you’re used to seeing. This competition consists of teams of five displaying brute strength to pull a tractor down Beale Street between Floyd & Co and Black Bridge Brewery. There will be plenty of space for spectators! Registration is limited to 12 men’s teams and 12 coed teams, for $100 per team. A link to register is available at www.Bestoftheweston66.com, winning teams will receive half of their respective category’s registration fees. Not afraid of heights you say? Then head on over to the Hualapai Mountain Resort Rock Climbing Wall on Beale Street near Kingman CrossFit and House of Hops. Gear up and take the 25 foot challenge, it’s totally free Friday evening and following the parade on Saturday. Check out the wares or grab a bite along Unisource Electric’s Vendor Row. 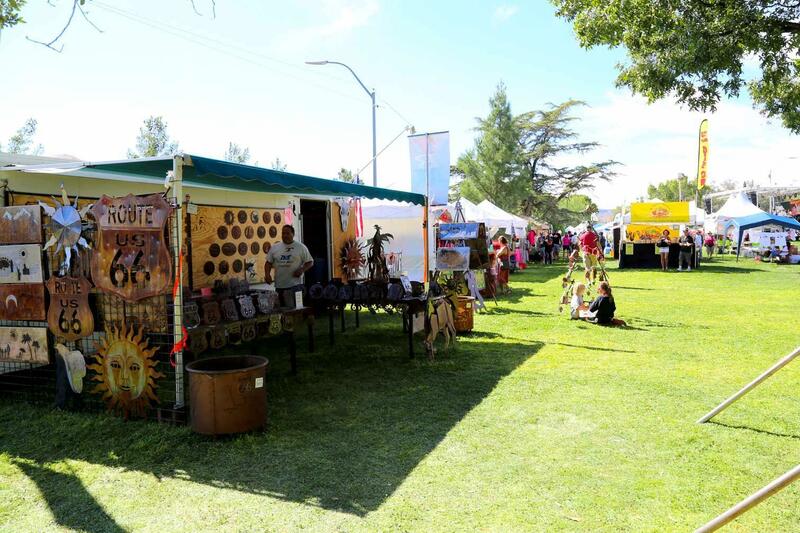 Arts, crafts and food vendors will be lined up Fourth Street from Andy Devine Ave to Oak Street Friday evening from 4pm to 8pm and all day Saturday! This is the first time vendors will be present near the Andy Devine Days Parade route, which rolls from 10am to noon. 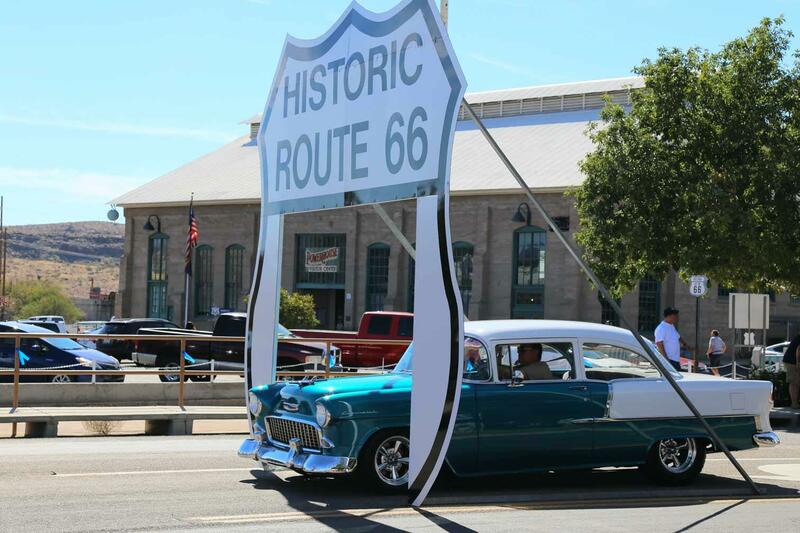 Beale Celebrations is also hosting a Travel Expo Friday and Saturday, where you can check out all the Best things to do along old Route 66! Following the parade, the Anderson Ford & Lincoln Best of the West Car Show will start lining up classics and cruisers on Beale Street from 3rd to 5th Streets. Car show registration is $20 per car, forms are available online. 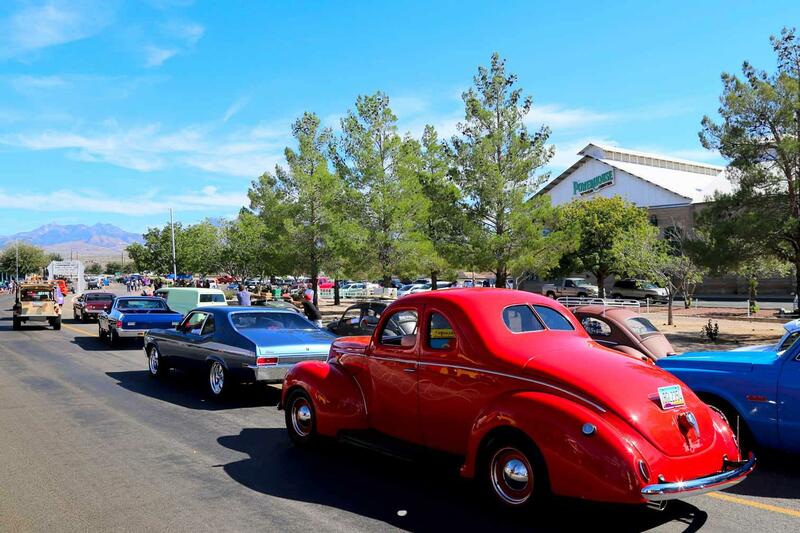 The car show will close up at with awards at 6pm, just as the 32nd Annual Andy Devine Days PRCA Rodeo kicks off at the Mohave County Fairgrounds. Andy Devine Days is a PRCA Turquoise Circuit Rodeo taking place the final qualifying weekend for cowboys to earn points for the NFR. Every year it draws serious bronc and bull riders. An old fashioned barn dance follows the Saturday night show. If you miss the evening rodeo, there’s a second performance at 1pm on Sunday. “There are so many fun and free things going on this year” says Festival Chairman Josh Noble. 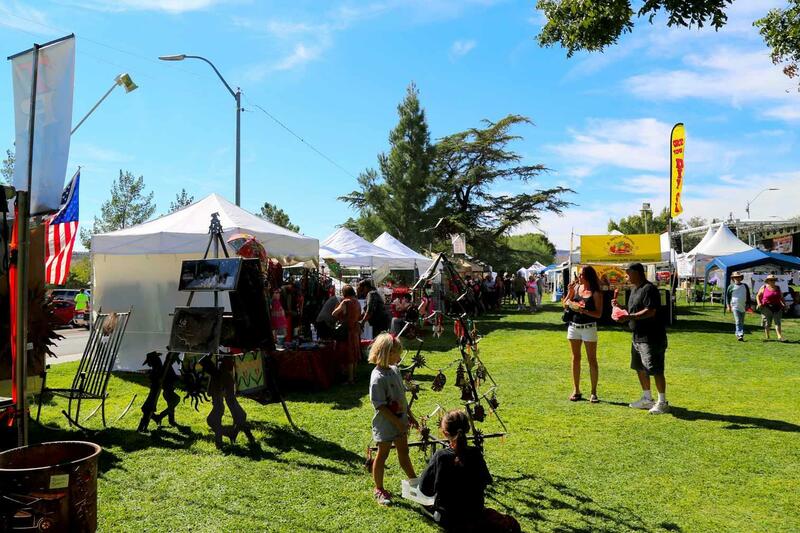 “We asked for this festival and sponsors lined up and said ‘yes, Kingman needs this!’” This Best of the West Fest title sponsors are Kingman Regional Medical Center and Grand Canyon Resort Corp. The Best of the West Car Show will take place on Beale Street from 1pm to 6pm on Saturday, Sept 24, 2016. Staging and registration will be in the City Hall parking lot at the corner of Spring and 4th Streets between 10am and 1pm. Cars will then head east on Spring Street to Sixth Street, trun right and head to Andy Devine Ave where they will continue to 5th Street and turn right again toward Beale Street. All cars will enter the show from 5th Street at Andy Devine Ave. 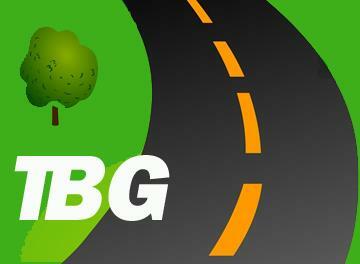 Drivers will be directed to the show entry under the Route 66 Drive-Through Shield on 5th Street near Beale Street. 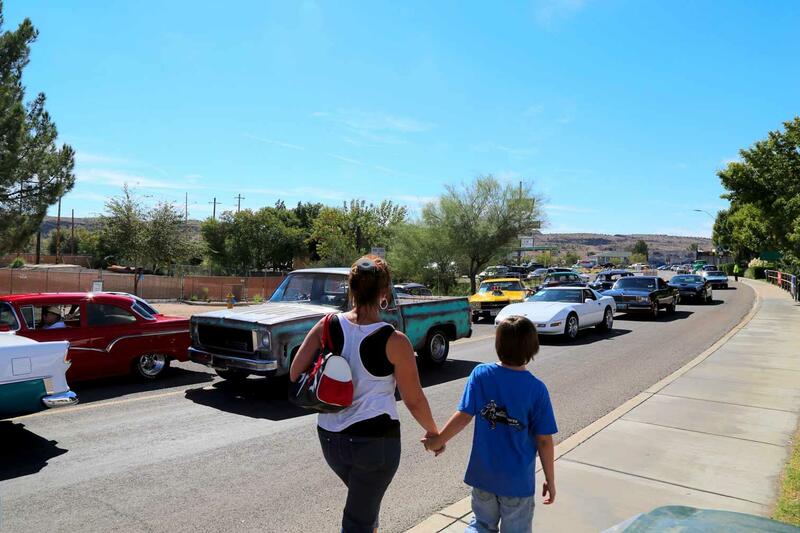 Click here to download the Car Show Entry Form, preregistration can be submitted at the City of Kingman Visitor Center help desk located inside the Powerhouse at 120 W. Andy Devine Ave. The Best of the West Car Show is sponsored by Anderson Ford Lincoln of Kingman. Any thing on wheels can be entered! If you would also like to enter the Andy Devine Days Parade, which precedes the car show, click here for the downloadable application. For the first time in the 45 year history of the Andy Devine Days Parade, vendor space will be near the parade route! 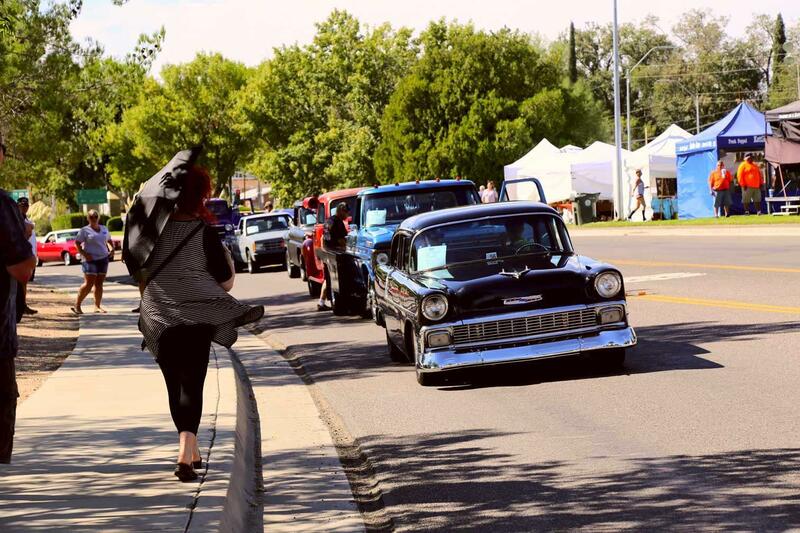 Vendors will be lined up and down Fourth Street, at the heart of the parade and Best of the West Car Show. With 5,000+ spectators, it will be a fun-packed event! Vendor spaces are $20 for 10 feet by 10 feet and $35 for 10 feet by 20 feet. After August 5, the rate increases to $25 and $40. To be included in the event information, request forms must also be submitted no later than August 5, 2016. Click here for the Downloadable Vendor Request Form (early-bird pricing ends August 5, 2016). For space at the Beale Celebrations Travel Expo, download and complete the request form, or contact Jamie Taylor of JuST Marketing at [email protected]. The State of Arizona requires a Transaction Privilege Tax Application short form for special event vendors who do not have a regular AZ TPT license. It's only $12, but it must be completed prior to acceptance as a vendor at the Best of the West Festival. Here's a link to the form. Link to the Mohave County Temporary Food Service Permit. For more information, email Nick Bowers (Vendor Coordinator) at [email protected]. The Best of the West in conjunction with Tractor Supply Co. will be hosting the First Annual Tractor Pull on Friday, September 23, 2016 beginning at 6:00 p.m. in downtown Kingman on Beale street between 4th & 5th Street. The event is seeking 5 competitors per team with a maximum of 12 teams. The event is open for two divisions in Men and Co-Ed with a team fee of $100 and every team participant will be given a team shirt upon arrival. Winners will receive 50% of registration intake. Registration deadline is September 9th. For more information, please contact Yvonne at 928-692-3111 or Nick at 928-716-8052. Pictured above, a Miami East team competes here in the Human Tractor Pull event at the 2016 Miami County Fair. It is similar to the tractor pull planned for Sept 23 in Kingman, AZ. Image courtesy of Mike Ullery/Piqua Daily Call. Picutred below is the type of Kubota tractor that will be pulled at the Best of the West. Download the registration form here! or register on-line by clicking here and print the entry form either during the checkout process or from your emailed receipt. Registration is open until September 9. From the 2015 Best of the West on Route 66 Festival! 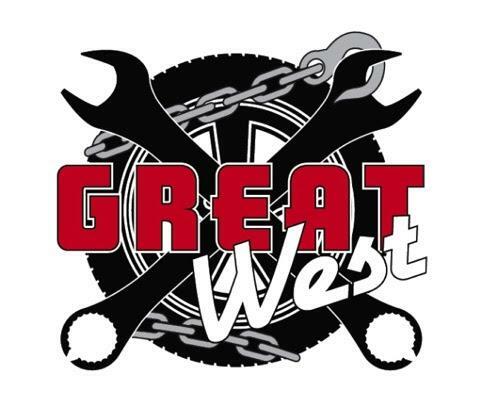 Thank you for visiting http://www.gokingman.com/event-best-of-the-west-on-66! Be sure and revisit gokingman.com frequently for content updates and more.